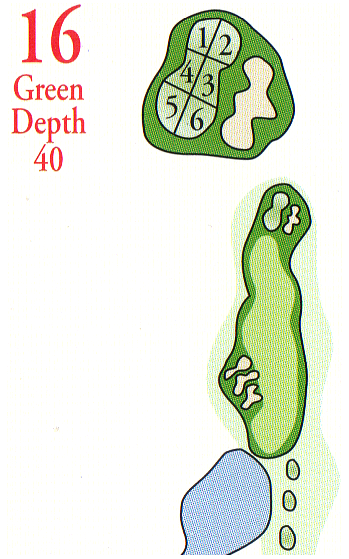 The tenth hole provides players plenty of options to choose from as they navigate this par 5 hole. 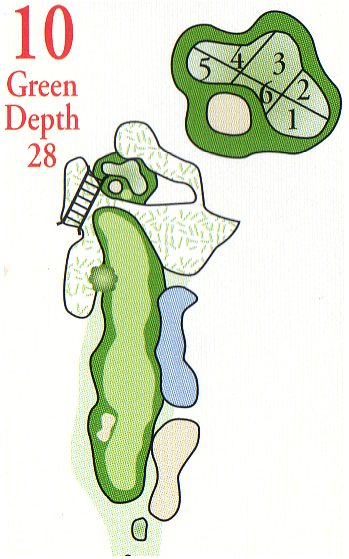 Although unreachable by most players on the second shot, the hole begs you to swing away and hit it as hard as you can. Be careful though, as a well placed marsh area in front can mean the difference between a birdie opportunity and double bogey. The tee shot will call for a carry over a marsh area to the green which is tucked at the edge of the tree-line. 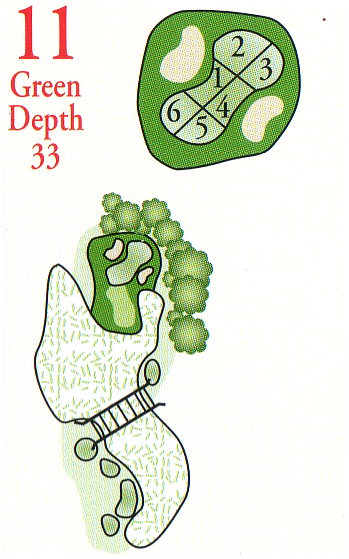 With bunkers and hazard surrounding all but the front of the green, the tee shot should not be taken lightly. Once on the green, players will face a variety of undulations and slopes as they try to hole their putt. Players will want to avoid hitting their drive too far and end up in a well placed bunker in the left side of the fairway. 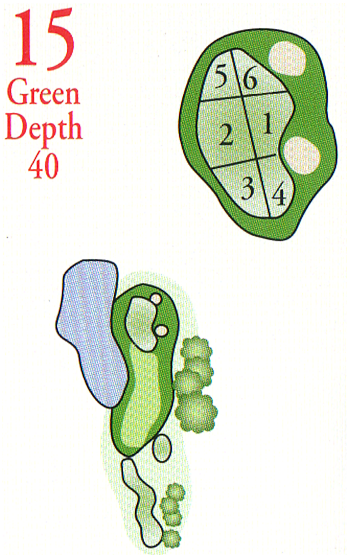 Most players will have a short or mid iron in hand for their approach shot into the green with a false front. Although one bunker protects the right side of the green, the challenge lies in actually hitting the green and staying there. 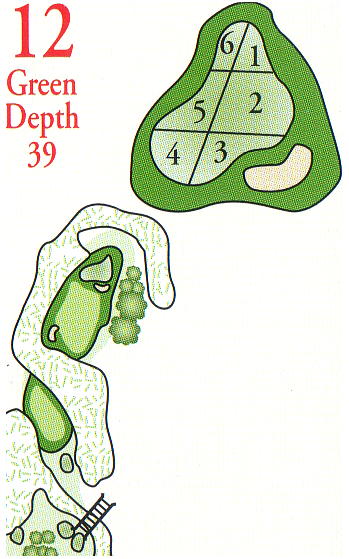 The thirteenth hole was designed with a large marsh obscuring the view of the left side of the fairway as well as the green. 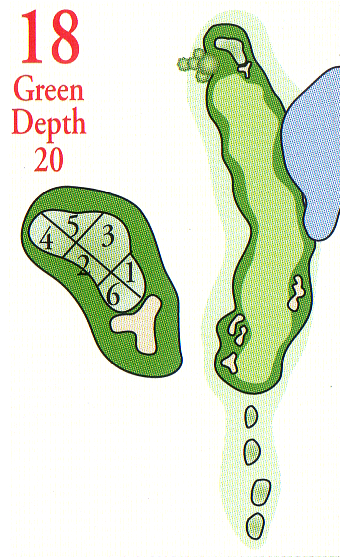 An ideal ball placement should be on the middle or right side of the fairway giving players a short to mid iron home. 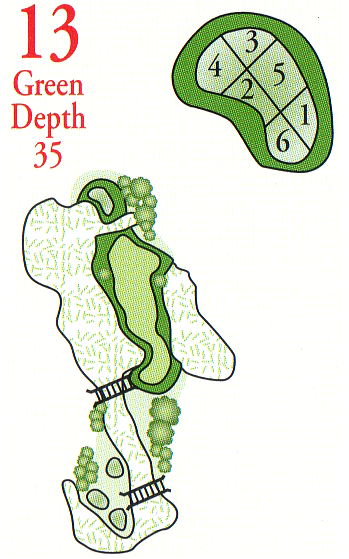 The green is also protected by out of bounds right, long and a small marsh patch on the left side. 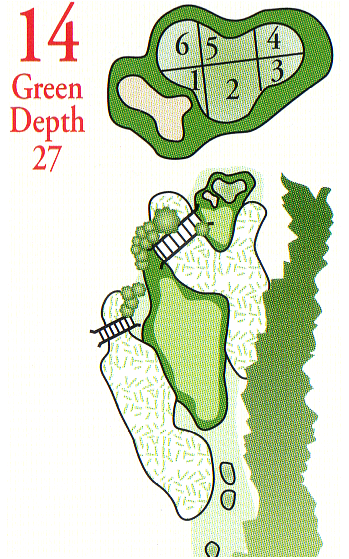 Players will face a challenging approach shot to a green surrounded by a bunker on the left. and hazards on the right. A very undulating green provides plenty of interesting lines and looks at the hole. Although not a very long hole, the tee shot calls for to miss the marsh on the left and out of bounds to the right to a slightly elevated green. Players will need to make sure to keep their focus throughout this hole to avoid a big number on a relatively short hole. 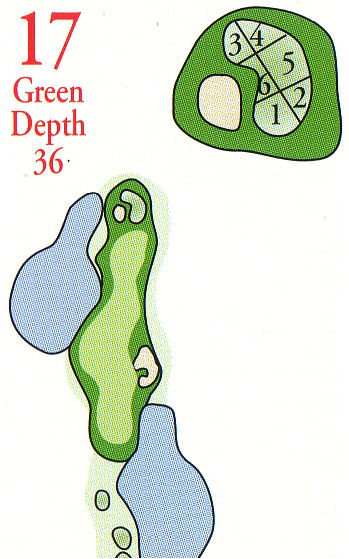 The sixteenth gives every caliber of golfer to have an opportunity to hit this hole in regulation with two well struck shots. Most players will have a short iron in hand for the approach shot, and if played correctly, and into the right tier, the hole should yield plenty of birdies. A well placed drive leaves one easy access into this green protected by bunker in front. Be careful not to go through the green, as a slope shot back across the green would be testing to say the least . Leaving your approach shot below the hole is key to make a stress-free birdie or par. A long and challenging par 5 through a wide fairway divided by big waste areas will take you home to the clubhouse. Keep your concentration and you might pick up a finishing birdie if you can successfully avoid the deep bunker on the front. Leaving your second shot on the right side of the fairway provides better accessibility to the flag.